This page of our website is made for those who want to have, collect or give something unique and exclusive. 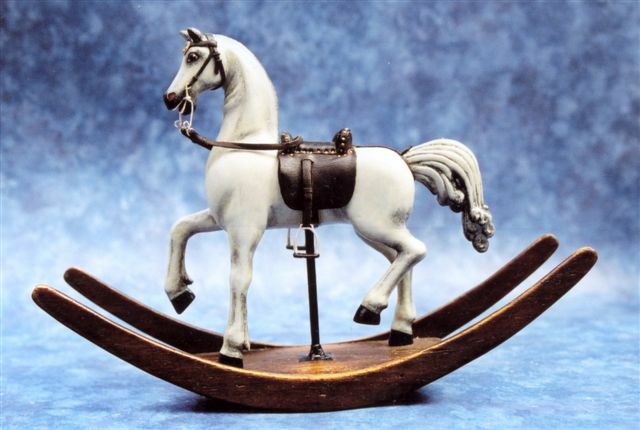 They would -for example- suit a miniature enthusiast who is looking for something more unique or somebody who is looking for exclusive contemporary horse art. 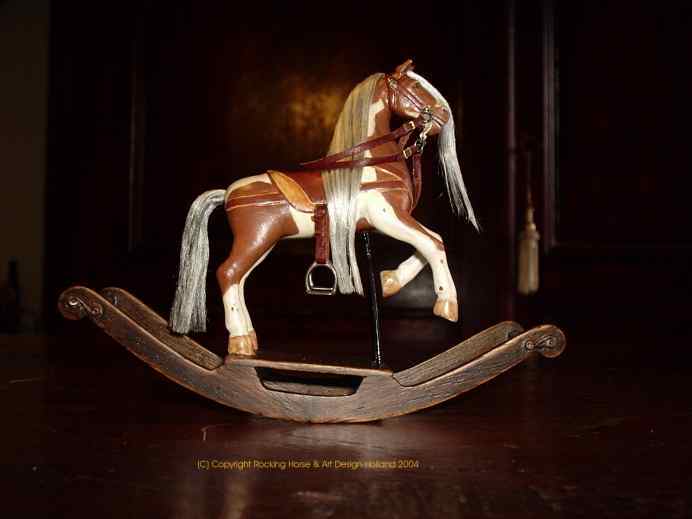 Our horses are finished to a very high standard and each is individually hand made to the highest specification. They have hand painted eyes, which contributes to their unique character. 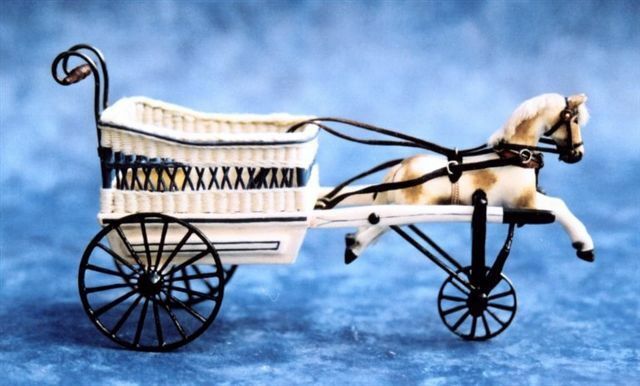 The first of our unique rocking horses in 'doll house' miniature (below) is our rocking horse 'Solist'. He is made 1/12th scale (doll's house standard scale), which is basically 1 inch for each foot (12 inches) of the real size. The approx size of Solist in miniature is 125mm x 95 mm. Consequently, a great deal of time is taken to achieve this highest possible standard and this quality is reflected in the price. We've tried to capture the artistic quality of the miniature below, but this seems impossible. If you like to order a miniature, please contact us. 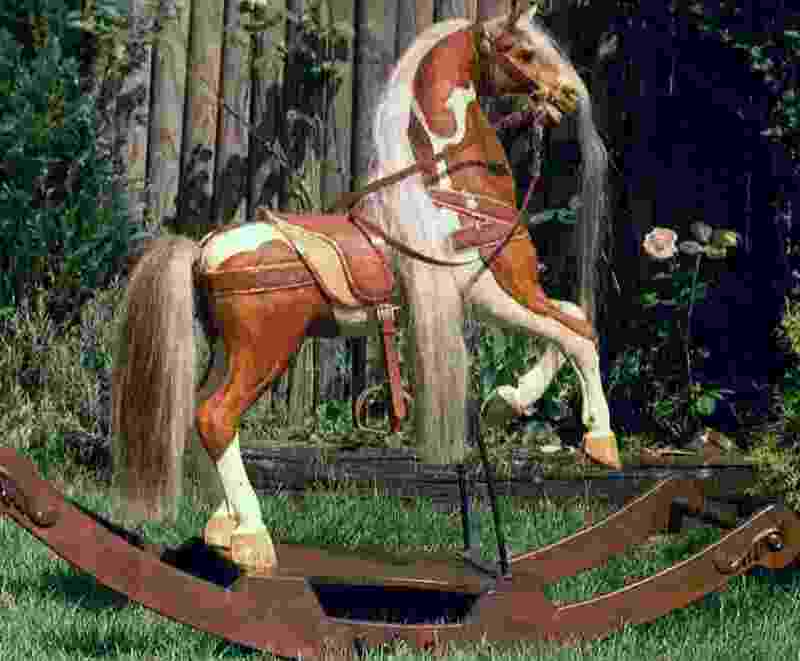 The horses which are shown below -as an example- are of authentic reproductions of the original in the appropriate style and period.This gives you an idea about the high standard. 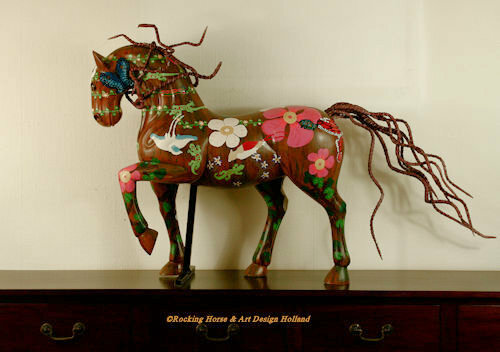 Each horse is based on toy catalogue illustrations or museum pieces. These horses are for display only. 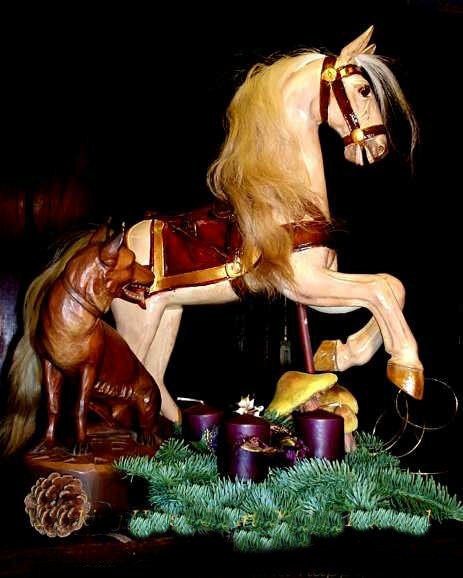 A very famous early English trotting horse with a carved manes and tail - based on an original example dating from circa 1650.